Be the hero of your story with the Benchmade Protagonist Combo Edge Knife. 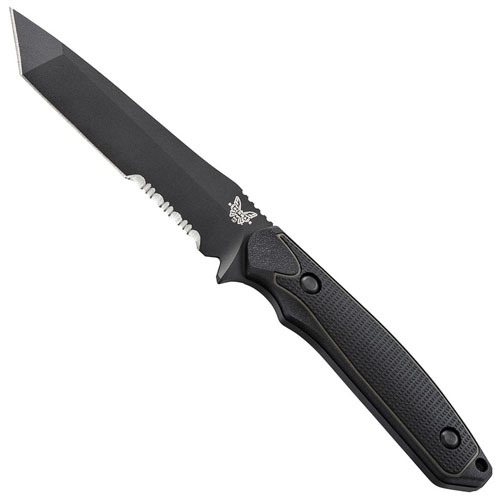 Made with members of the armed forces and law enforcement in mind, the is a reliable and strong fixed blade tool. 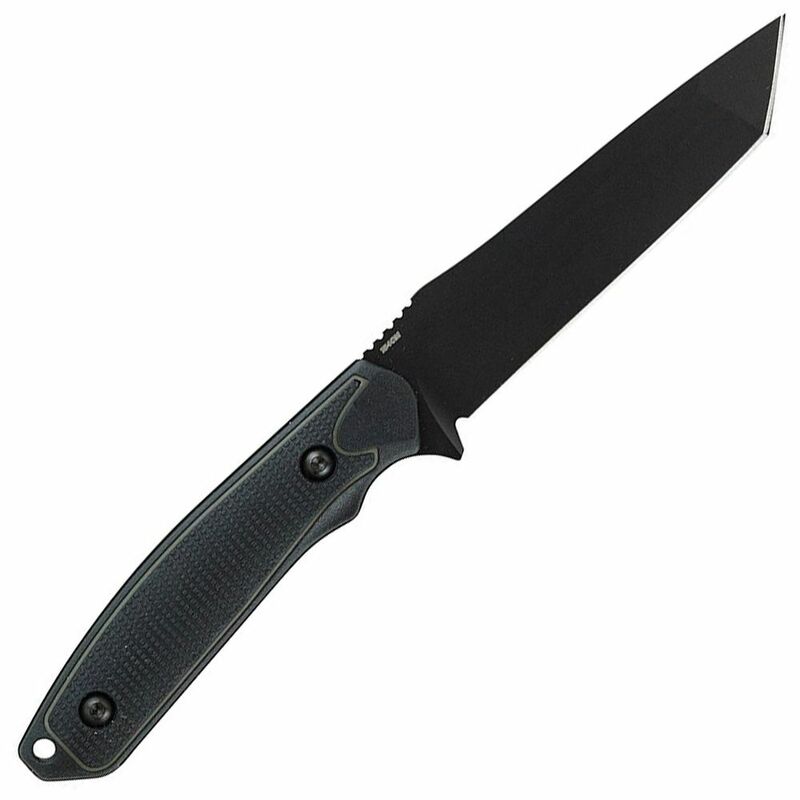 The black blade is made out of premium 154CM steel and has a piercingly sharp tanto shape. The edge of the blade is partially serrated, making it easy to cut through paracord, rope, and coarse materials. The handle is a combination of Grivory, a durable engineering plastic, and Versaflex, a rubbery material. 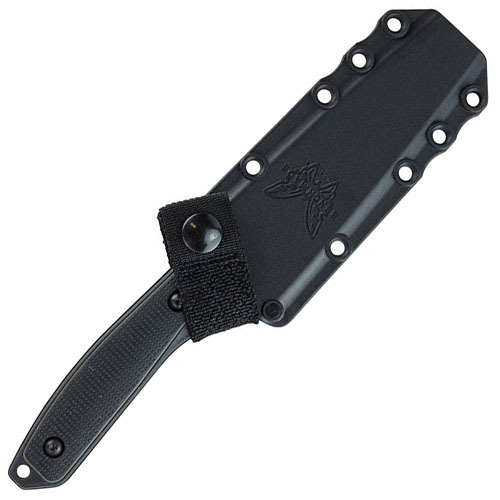 The included sheath is compatible with MOLLE gear and belt loops.